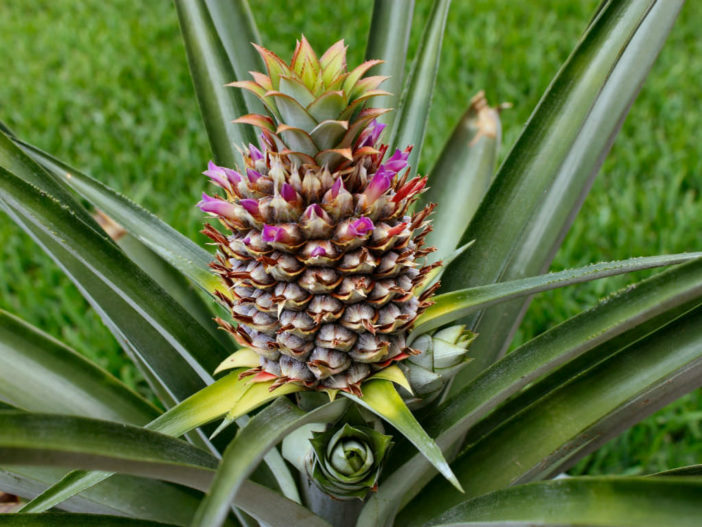 While commercial Pineapple (Ananas comosus) cultivation does indeed occur primarily in tropical regions, the great news is that you too can grow Pineapple plants in the garden, and it’s easy! Pineapples are a tropical, herbaceous perennial belonging to the Bromeliad family. They grow to about 5 feet (1.5 m) in height with a 3- to 4-feet (0.9 to 1.2 m) spread. The idea that Pineapples are an exotic, decadent fruit isn’t farfetched. They were first introduced to Europe in the 1700’s where they were delicacies of great value sought after only by the very wealthy. If you are planting multiple Pineapples, give them at least a foot (30 cm) between each plant. Be sure not to plant them in an area that gets standing water or tends to be soggy.